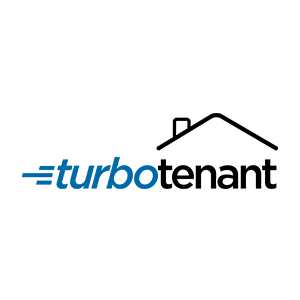 TurboTenant is a property management real estate software for both landlords and renters. Its features include extensive tenant screening, reliable customer support, and rental marketing among others. In this article, we cover user reviews and pricing. Ready to get started with TurboTenant? Sign up for free. Users who gave TurboTenant a positive review said that the software enables them to find great tenants and makes it easier for renters to filter through applications. They also mentioned that its marketing features boost the number of quality applicants and that the platform is user-friendly. As of the date this article was written (12/28/18), there are very few negative TurboTenant reviews online, though some users complained that their customer service team is difficult to contact directly by phone and fails to offer effective solutions. TurboTenant is free for landlords and property managers. For tenant applicants, it costs between $35-$45. Additionally, they offer paid services to help landlords manage their properties with ease, such as a rent estimation report ($14.99), a form pack ($99.99), and “LawDepot” Lease Agreements (starts at $29). Ready to get started with TurboTenant? Sign up for free. 37 Best Real Estate Software & Tools for Top Agents in 2018 — Real estate software provides agents with everything from lead generation tools to video editing, expense tracking, and open house management software. To help you identify the best options, we picked the 37 best real estate software, tools, and apps on the market today. When does the prospective renter pay the application fee? Renters need to pay before completing their application. This allows landlords to gather all of the necessary information without having to coordinate for payment later on. Where does the tenant application fee go? The application fee paid by renters is used to pay for credit and criminal reports. A fraction of the fee is also kept by TurboTenant. This allows them to earn revenue in order to be able to continue offering their services to landlords for free. Not sure if TurboTenant is the right fit for you? Read our reviews of all top real estate software or check out one of these three TurboTenant competitors. On 1/24/19, I applied, along with a co-applicant, to a property via TurboTenant site. After waiting about 2 weeks, there was no update to our application. We decided to check back on the site for additional info or a # to call, as at the time of applying, we were notified that we would hear back within a certain time frame. At that time to going back, the status of the property had changed (as is the current status) to not available. “The property is not available to show, it is undergoing major renovations. The photos are of another property that has a similar renovation…” This information was not previously on the site when we applied, but was added AFTER we applied and our applications fees cleared. The site does not even allow you to apply to properties unless said property is available. THIS IS FRAUDULENT ACTIVITY! I have contacted the landlord, as well as TurboTenant, in early Feb 2019 to have this addressed, with no resolve. I reached out again today via email requesting that my application fee be refunded, as services were not rendered. I was told that I should have contacted the landlord before applying to make sure the property was “still available and a good fit” as if I hadn’t done my due diligence or followed the instructions of the site. Isn’t it the company’s responsibility that they use credible landlords and remove listings that are no longer available BEFORE taking someone’s application fee?? I will not use this site again, nor will I recommend others to do so. I wish that I had seen the poor reviews and knew that customer service was non-existent. Thank you for reaching out, and I’m sorry to hear that you feel our application process was dishonest – I know you’ve voiced your complaint on our page on multiple platforms. Once again, I’ve reviewed the information, and I see that you successfully completed an application. As you mentioned, this property has since been taken off the market. However, I do not see any edits to the listing that would indicate that the information was inaccurate at the time you applied. You can view the same listing page here: https://rental.turbotenant.com/properties/84840. I have gone through all of our chats, emails, and phone schedules and am unable to find a record of any correspondence with TurboTenant prior to your refund request on Tuesday, March 26th. We saw your co-applicant scheduled a call on February 11th, but are unable to confirm if it was a three-way call with you present. While we always hope that every landlord using our platform will keep renters updated on their application status, this is not always the case. As we mentioned previously, and you’ve pointed out here, it is always a good practice to establish contact with the landlord prior to submitting an application as they are the ones who decide if they are accepting applications or not – they can change it when they choose. Unfortunately, since the listing was available at the time you applied, we are unable to refund the application fees. If you have any further questions or concerns, please don’t hesitate to contact our Customer Experience Team at support@turbotenant.com. Customer service. There is no way to contact them directly by phone to resolve problems. Also reports are not accurate or up to date. To high price for what they provide. They do not resolve problems efficiently. TurboTenant is one of the best landlord tools available right now because it combines a screening service and rental marketing software all in one platform. It’s easy to use from the moment you sign up as a landlord or property manager. After you fill out information about your properties, you can create lease applications, and then begin the marketing process. Once you’ve added a property, you can toggle whether you’re accepting applications, and you can choose to market it or not. TurboTenant will post an ad for your rental property on several popular websites, including Realtor.com, Rent.com, Apartments.com, among others. To be clear, this is light property management software and it does not include tools for maintenance management. The properties you add to your account stay there until you sell the property. You can edit details to your heart’s content. The tenant applications are customizable in that you can add questions to the form you want answered. And background checks are handled by TurboTenant. In fact, you don’t pay a dime for those screenings – the tenant does (and it’s more affordable than most other options, making this a good choice for both landlord and tenant). There is an option for you to pay for the soft pull background check if you’ve already collected payment from a tenant, though. Some of the features TurboTenant offers property managers are at a cost, including a form pack for $99.99. There’s also an optional rent estimate report that costs $14.99, which could be helpful if you don’t want to do the research yourself. Customer support answered all my questions quickly and the representatives I connected with were friendly and helpful. There is no direct phone support, but you can schedule a phone call, which should be made to you in about 30 minutes. 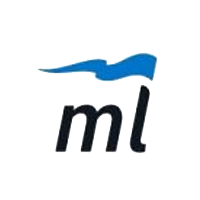 Support is available seven days per week during business hours (MST). After confirming an email address with my account, the site seemed to hang for a while, so you may need to refresh your browser (I had to). Although TurboTenant doesn’t try for hard sells, you do have the option of choosing some add ons that will cost you a few bucks, and that sell starts at the login screen. Customer support is more readily available by live chat, and it’s only available during business hours. Also, many of the forms that you get in the form pack are available free elsewhere online, so if you pay for the TurboTenant pack, you’re paying for convenience – and they used to be available free. There are no free forms from TurboTenant, so you’ll have to pay for those separately or find them elsewhere. Also, the lease agreements the company offers are not from TurboTenant, but rather from LawDepot, a TurboTenant partner. What's the Best Real Estate Software?